Building on its 150-year heritage, Aetna is one of the nation’s leading providers of health, dental, group, life, disability, and long-term care benefits. They provide benefits through employers in all 50 states, with products and services targeted specifically to small, midsized, and large multi-site national companies. Aetna also offers a wide array of programs, services, and information that help minimize increases in employee benefits costs, while striving to provide easy access to cost-effective, high-quality health care. Contact us for the latest rates at (888)474-6627. The HSA $2300 plan will change to a $2500 deductible, combined for both in and out of network. The change in the deductible to $2500 is required to maintain compatibility under the HSA guidelines for 2010. There will be no rate change to the plan as a result of these changes. Aetna Small Group has improved their plan designs to include more options in their portfolio with combined deductibles. Effective for January 1, 2010 effective dates, eight (8) small group plan designs will offer combined deductibles to maximize benefits for subscribers. *1 - Combined deductible will be effective for new business as of January 1, 2010. 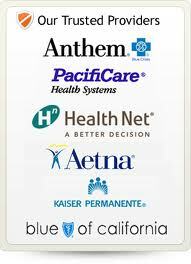 All members enrolled in these plans as of December 31, 2009 will have a combined in and out-of-network benefit as of January 1, 2010 regardless of their effective date. *2 - Increased deductible for HSA $2300 80/50 plan to $2500 80/50 plan takes effect as of January 1, 2010 group renewals to ensure the HSA meets Federal guidelines. Members will move to the new plan on their renewal date after January 1, 2010.